Quintessentially British design and exquisite craftsmanship combine with the vintage-inspired Emmy London collection. 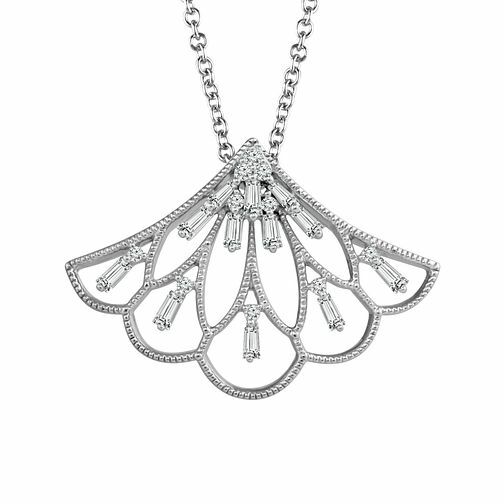 Add classic sophistication to your look with this pretty fan shaped diamond fan pendant in sterling silver, with a secret sparkling diamond on the back. Featuring I1 certified diamonds and an independent GSI certificate.